You gotta’ love it when FOX43-TV and PennLive have reported a Strasburg-area house fire with three fatalities (murder-suicide) and other local media resources haven’t yet. You gotta’ love this too! 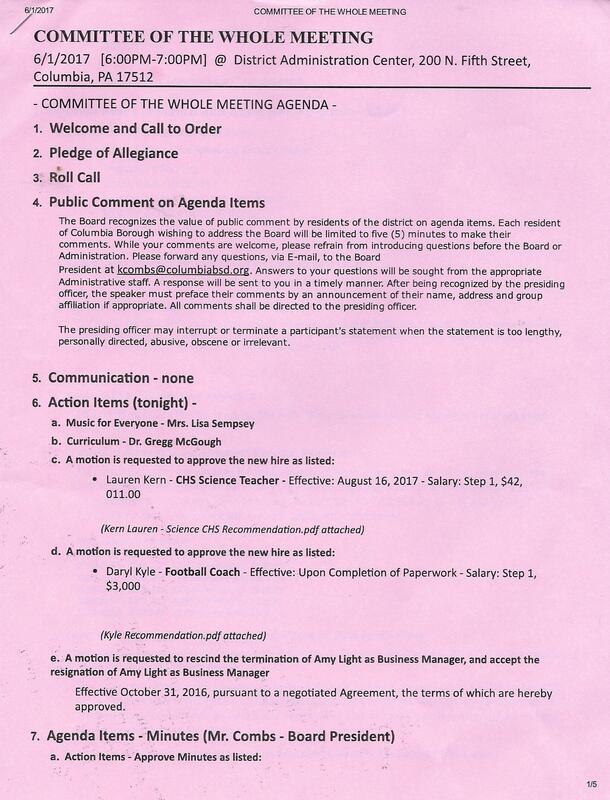 In a cost-cutting move, the Columbia Borough School District is using pink paper someone found in a supply trove to publish copies of the meeting agendas for citizens who attend meetings. Now, if only the citizens would show up to pick up the copies. You’d love it even more if the meeting was not being held at a time when most people are working or on the way home from work or getting ready for a family dinner. What’s wrong with evening meetings? You gotta love it when a government agency gets real! Seriously, the Pennsylvania Department of Human Services is conducting an emergency preparedness exercise and sharing information. Quite unlike local agencies. “Volunteer Actors Needed for Keystone 6 Exercise! The Pennsylvania Department of Human Services is sponsoring an exercise and we need volunteers! This exercise is called Keystone 6 and is focused on mass care and sheltering during a large-scale disaster. The scenario is based on a large nuclear explosion in New Jersey that drives people to evacuate into Pennsylvania. We are testing our capabilities for opening state managed shelters at both Penn State University’s Harrisburg campus (Middletown) and Shippensburg University. To see how we might accomplish this, we need people to serve as actors and go through the registration process at the shelter locations, as an evacuee might. We hope to have people with disabilities or other access and functional needs participate so we can practice how we would meet these needs in a real situation. We promise you do not have to sleep on a cot! Lunch will be provided and you will also be provided information to assist you in forming your own emergency preparedness plan. No reimbursement is available for travel or time. We need your help so we can best plan for the needs of all Pennsylvanians! 4. Optional: If you are a person with a disability or other access or functional need, would you be willing to briefly describe the need(s)?